Membership runs for 12 months from date of joining and is open to all full and part-time mobile DJs residing in Great Britain, Northern Ireland, the Channel Islands and the Isle of Man*. 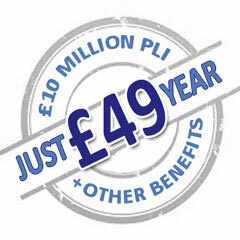 £10,000,000 Public & Product Liability Insurance cover for 12 months is included with membership and is for the named member only (Multi-Ops & Agencies should contact us to include additional cover for each named DJ). A PLI Certificate and supporting documents will be available to you (usually within minutes of joining) which will include your name & address, membership number and dates of cover. If membership is withdrawn (see below) you will cease to be covered by the AMPdj PLI Policy. Any refund will be at the discretion of AMPdj and subject to conditions including access to your full PLI policy documents. An administration fee will also be payable. All enquiries received for your chosen area(s) will be automatically forwarded on to you. This will include all contact details for the client - there's no commission or extra fee to pay. Our system is designed to send relevant enquiries directly to your email address however, as the delivery and acceptance of emails are under the control of your email provider, we cannot guarantee your receipt of them. Members are advised to take the steps outlined in the Help & Advice section to help ensure that these messages are delivered to your inbox. The members area of this site uses a 'first party, non-persistent session cookie' which will retain your login name during the current visit only. This allows you to access your member pages. If you block this cookie then you will not be able to access any part of the members area. The cookie is removed when you navigate away from the site or log out. Members should carry a copy of their PLI Certificate for production as required. Take precautions when setting up and operating to reduce any risk of injury and ensure stability of equipment/safe practice to prevent accident/injury to themselves or guests and venue staff. Maintain the highest standards of professional conduct and personal integrity towards your clients and their guests at every event, treating them with dignity and respect. Comply with all applicable laws, bye-laws and regulations relating to the event and to the industry. Adhere to all current Health and Safety guidelines, regulations & policies, including those of the venue they are performing in. Agree not to sell or pass on AMPdj enquiries to third parties who are not members of AMPdj, whether for monetary payment or otherwise. Treat all potential clients who use our enquiry system with respect and respond to all correspondence in a professional manner. 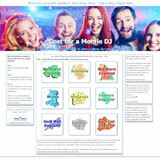 Benefits, advice and information is made available to AMPdj members on the understanding that it is for the exclusive use of those members and should not be passed to any non-member. This includes (but is not limited to) discount codes, sample forms, contracts and planners. Any renewal credit applied to your account is not transferable to another account. 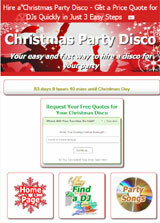 Personal contact information (name/phone/email) is provided to allow members to make contact with potential clients who are looking for a member to provide disco entertainment at an event. This information should not be used for any other purpose. Individuals should ensure that they meet the criteria of AMPdj membership (including the conditions for PLI cover) before applying to join and notify AMPdj if those circumstances change. Our PLI policy covers the activities of insured Disc jockey's including the dry hire of audio visual DJ equipment and accessories including lighting and dance floors and tuition of DJ related skills. It does NOT cover (for example) jukeboxes, live bands (see here), bouncy castles, magicians etc. If you are in any doubt please contact us before joining as failure to meet the stated criteria will invalidate your PLI cover with us. To agree to abide by these terms and conditions. To respect the reputation of AMPdj & fellow members. Members should refrain from putting in fake or non-existent enquiries to 'test the system' or for any other reason. This is a waste of other members time and resources. These terms are subject to amendment at any time. We, at our sole discretion, reserve the right to refuse or cancel any membership for any member with or without explanation. In this event we agree to refund your membership fee either in full or pro-rata. You agree that we shall not be liable to you for loss or damages that may result from our refusal to register or continue to register you for this service. This is a 'Business to Business' transaction under the distance selling regulations. If you decide to cancel your membership a partial refund (less an admin fee) will only be issued if the PLI Certificate has not been accessed. Renewal subscription prices may be subject to change with notice.